A security camera shows a masked gunman robbing the Valero gas station in Moscow last night (06/26). 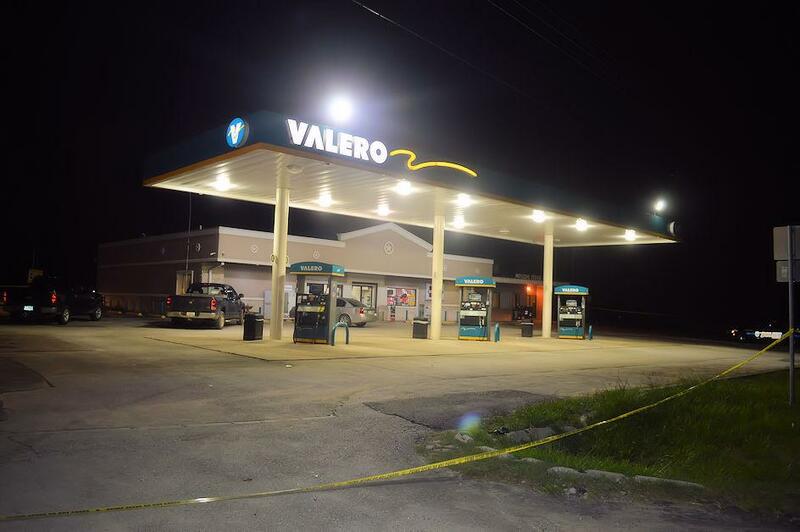 Armed Robbery at Valero, MOSCOW, June 27, 2017 - Shortly before 10 pm on June 26, 2017, a masked man walked into the Valero gas station located at 16281 US-59 South in Moscow and committed armed robbery. The gunman used a rifle and got away with an undisclosed amount of cash. The Clerk, "Stormy", was uninjured. According to the clerk, the gunman fled the store after getting money but she's unsure of which direction he fled. Deputies and Detectives from the Polk County Sheriff's Office, Officers with Corrigan Police Department, Constables, and a State Trooper were dispatched to Moscow and surrounding vicinity. A search perimeter was established, but the suspect was not caught. 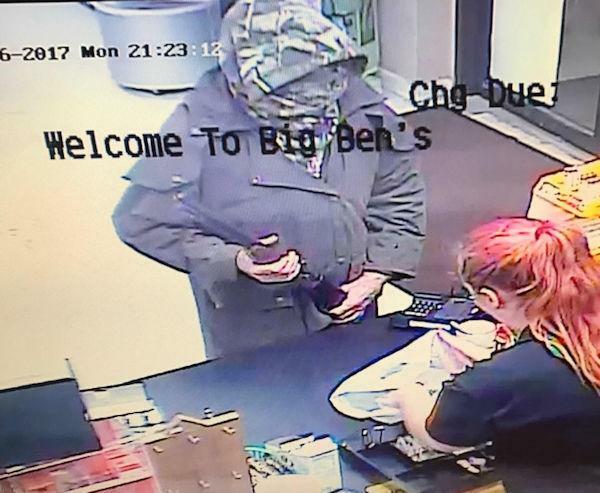 According to the store clerk, the suspect appeared to be a white male (white hands), medium height and was carrying a .22 caliber rifle. Fortunately, nobody was injured. Police tape marks off the parking lot at Valero in Moscow. Store clerk "Stormy" (right) was unharmed during the incident. Officers, Deputies, and Detectives were dispatched to the scene (including a canine). Chief Deputy, Byron Lyons with the Polk County Sheriff's Office (center) converses with the other policemen in the parking lot of the Moscow Valero.